Revolving Door Project is all about expanding and sharing. Our latest avenue of expansion is something that we like to call Revolving Door Radio. Every week we have two shows. The first is our flagship talk radio show “Revolving Door Radio” and the second is the two hour show, Endless Entertainment. 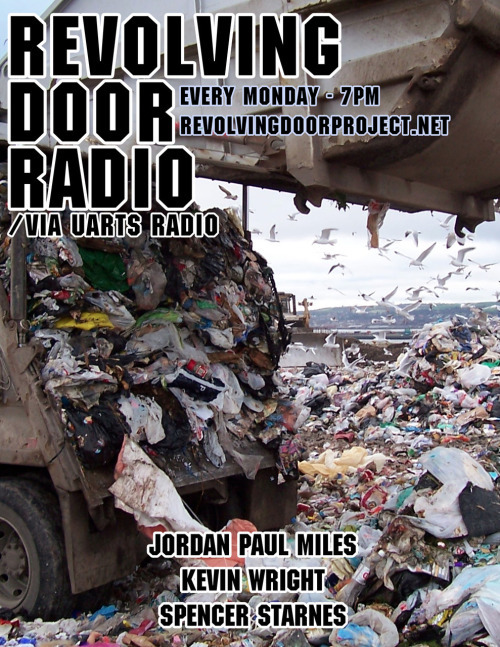 Revolving Door Radio can be heard every Monday night at 7PM (est). It features three Revolving Door Project writers, Jordan Paul Miles, Kevin Wright, and Spencer Starnes. Discussion ranges from film to television to music. Expect extreme comedic situations, hilarious dialog, and wonderful music. Endless Entertainment can be heard every Saturday night at 7PM (Est). It features Spencer Starnes and his music collection. Expect to hear lots of music in the two hour block. Some new, some old, always entertaining. Also, anyone can see pictures from the previous show with a track listing and related links on Revolving Door Project homepage. Anyone can tune in online, by clicking this link.